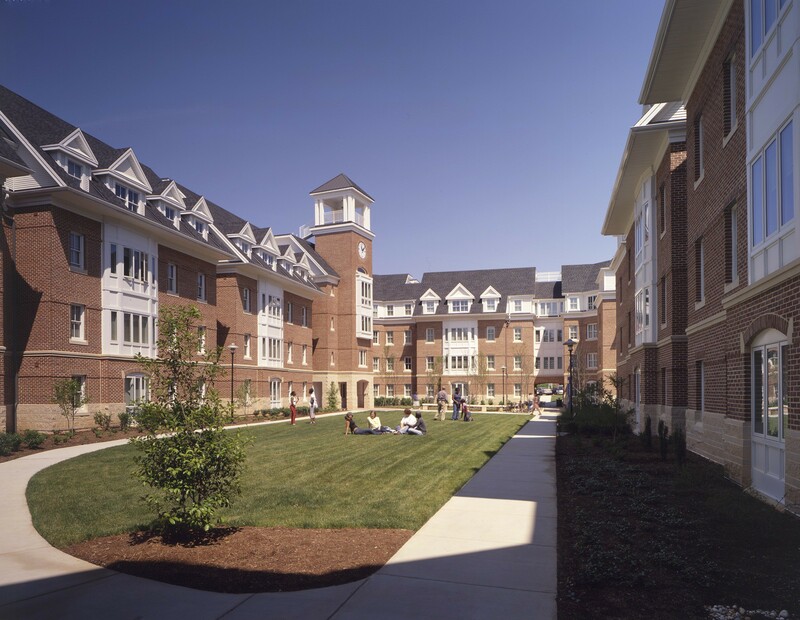 Opened in January 2003, this award-winning residence hall was designed in traditional neo-classic style around a center courtyard. Two-and four-bedroom suites compose this development, which contains 406 beds. 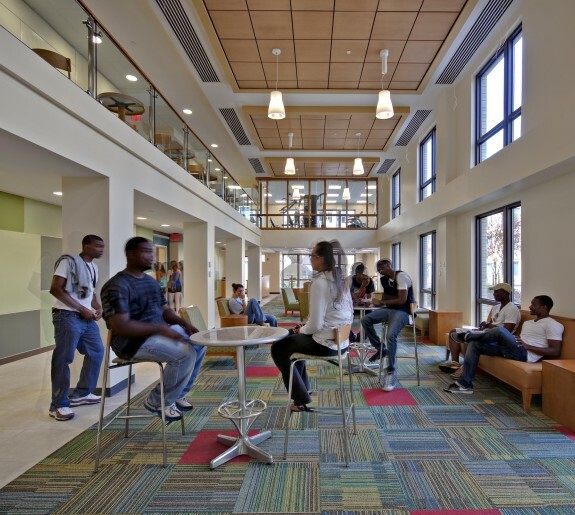 Design amenities include private bedrooms, offices, seminar rooms, food service, a multi-purpose dining facility sand student lounges. Additional conference and seminar space are housed in the clock tower. An additional 264 surface parking spaces were provided. 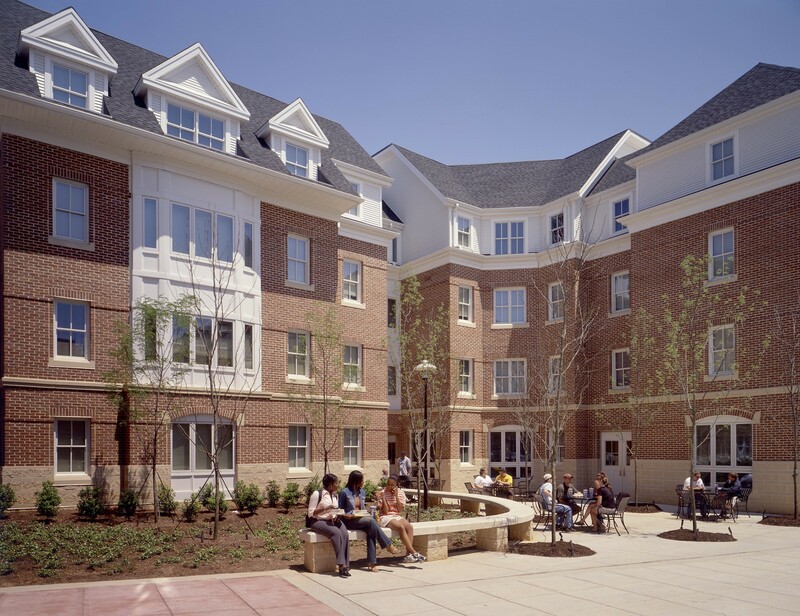 Construction bonds were issued to pay for this wood frame building with 95% brick exterior. The complex's facade is reminiscent of a three-story townhouse. 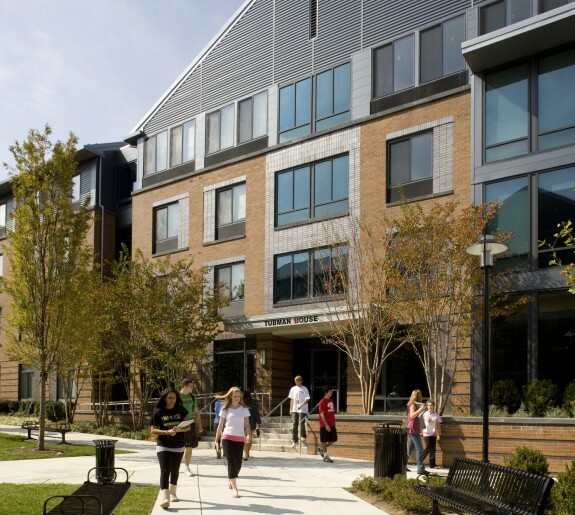 The Courtyard is the first completed project in the city of Rock Hill's effort to revitalize its urban core. 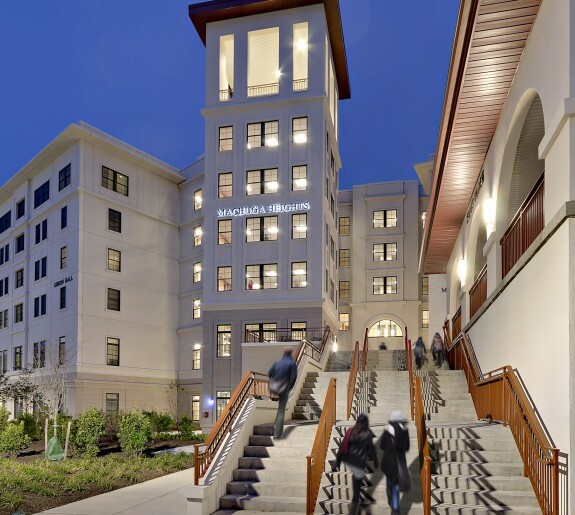 This award-winning residence hall faced a multitude of design challenges which included its location on a brownfield site, which was situated on the other side of an active railroad track. 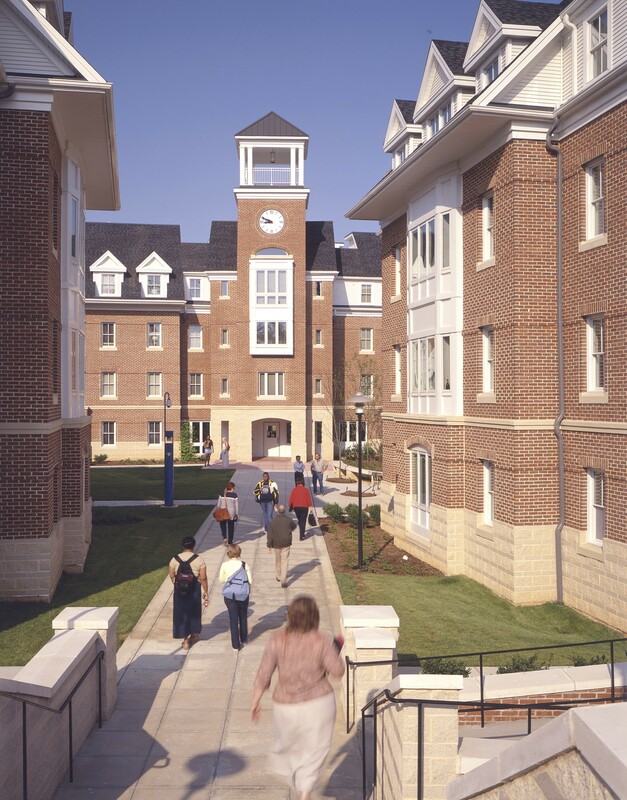 Its isolated location from the main core of the campus was the driving force for the inclusion of a clock tower feature in the building which would serve as the secured entrance into the building and terminate a new pedestrian link to the existing historic tower at the center of campus. 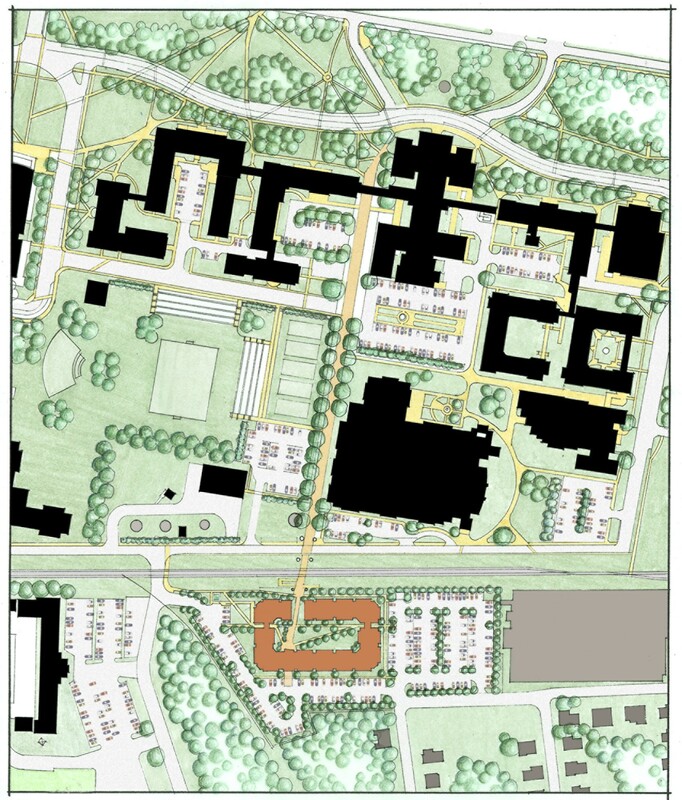 This pedestrian link would later be included in the updated master plan of the university.